Winter in Chicagoland is a truly magical time of year. From sledding with your family to curling up by the fireplace, the holidays are when you create cherished memories that last a lifetime. 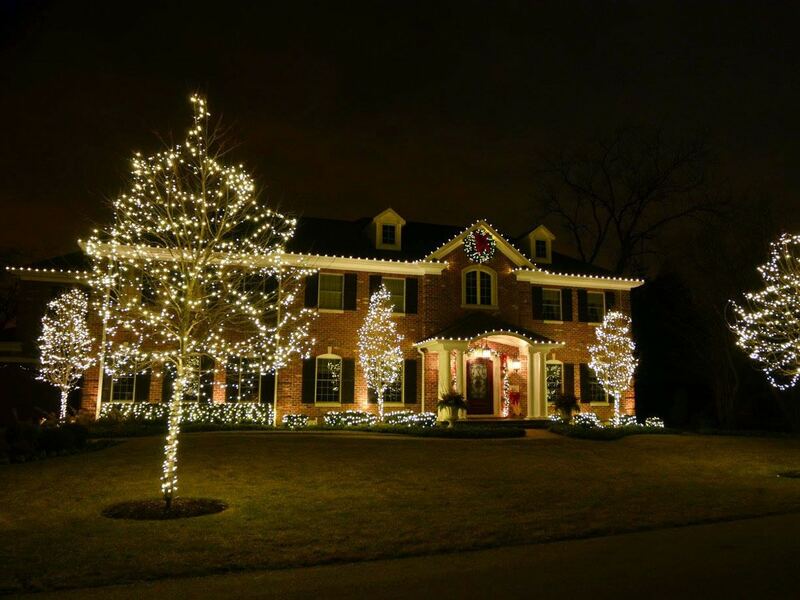 Since 2005, Northern Holiday Lighting has helped homeowners create some of the most breathtaking and beautiful holiday lighting displays in the Northern Chicagoland area. 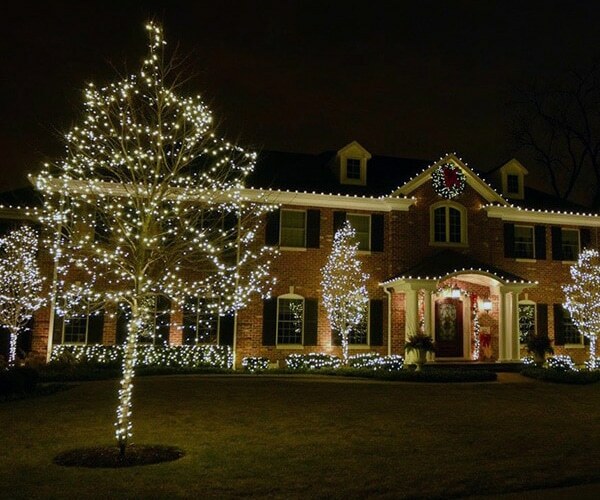 Want to skip out on the freezing temperatures and the hassle of digging holiday lighting decorations out of storage? 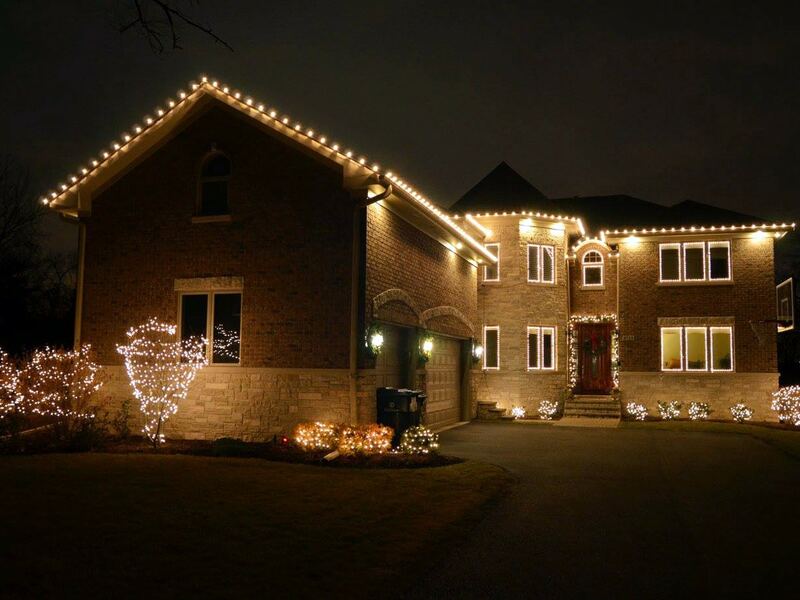 Our holiday lighting team will come to your home for a no-obligation consultation. After discussing your personal preferences, we’ll develop a conceptual design that is perfect for your home’s exterior and your budget. 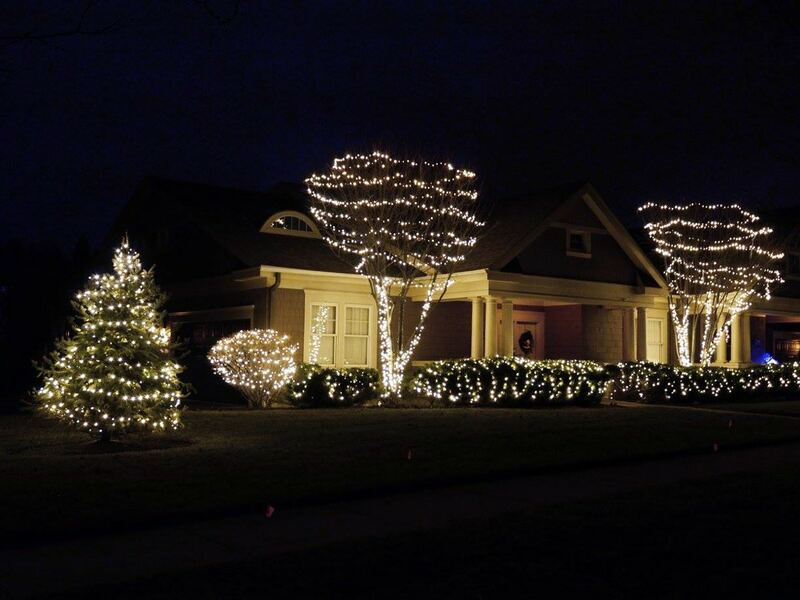 With owner Ben Orr integral in the developing of your outdoor holiday lighting display, you know that your family will have a holiday lighting display that will leave your neighborhood in awe! 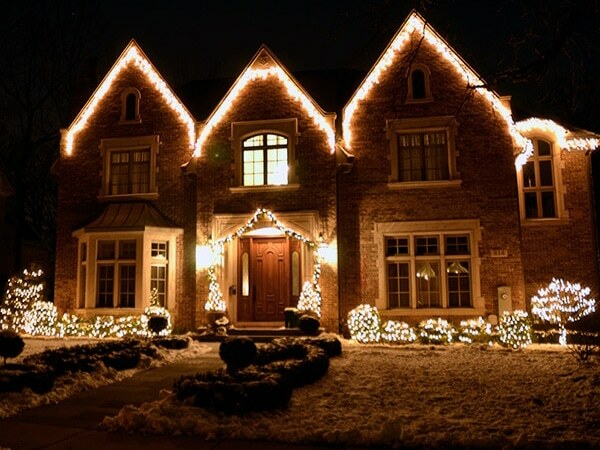 We lease all the lights and holiday decorations needed for any display that you can dream up. 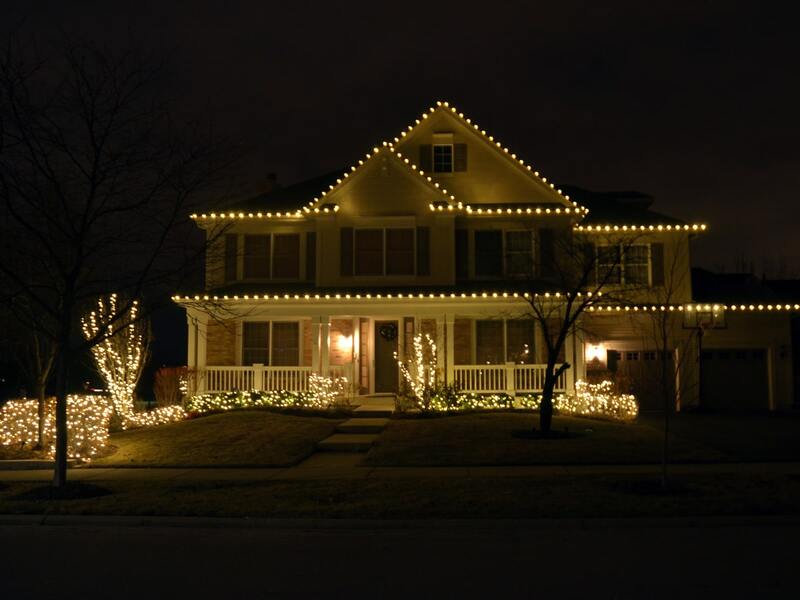 From twinkling icicle lights and illuminated cut-outs to LED color changing bulbs and animated light shows, we have access to the widest range of holiday lighting supplies in the Northern suburbs. No more dealing with burned out bulbs, or digging through your garage or attic for your lights – we handle all of the storage and maintenance. We are committed to protecting the environment and have invested thousands of dollars in LED lighting, all of the products we carry are LED. 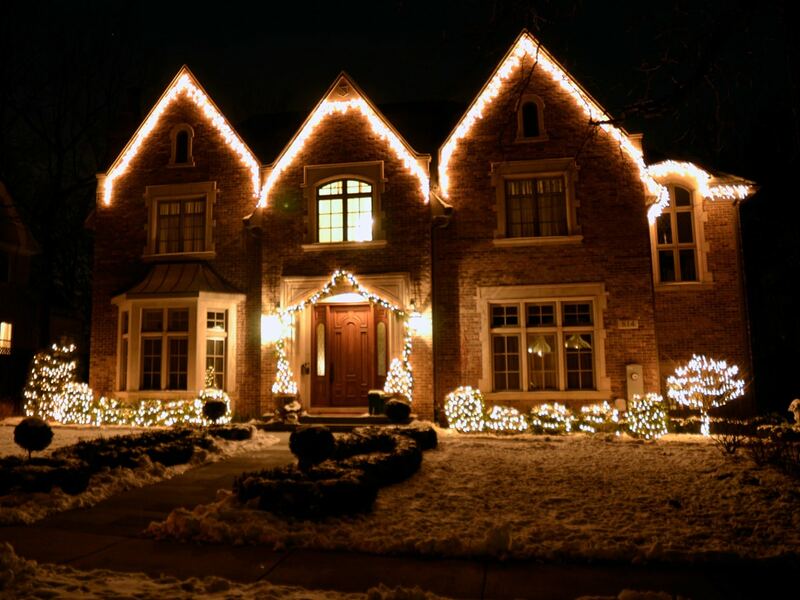 Not only are LED’s brighter, and produce deeper more brilliant colors, but they also help you avoid higher electric bills that can ramp up during the holidays. LEDs use a fraction of the power that traditional incandescent bulbs use, and last 10 times longer then traditional lights eliminating thousands of tons of landfill waste yearly. We’ve got all the equipment needed to handle any size job, from ground ladders and scaffolding to boom lifts and cherry pickers. 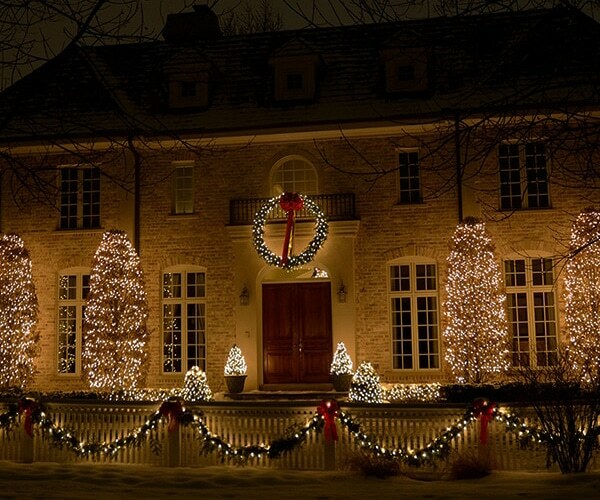 There really is no job or part of your house that we can’t access and decorate safely! 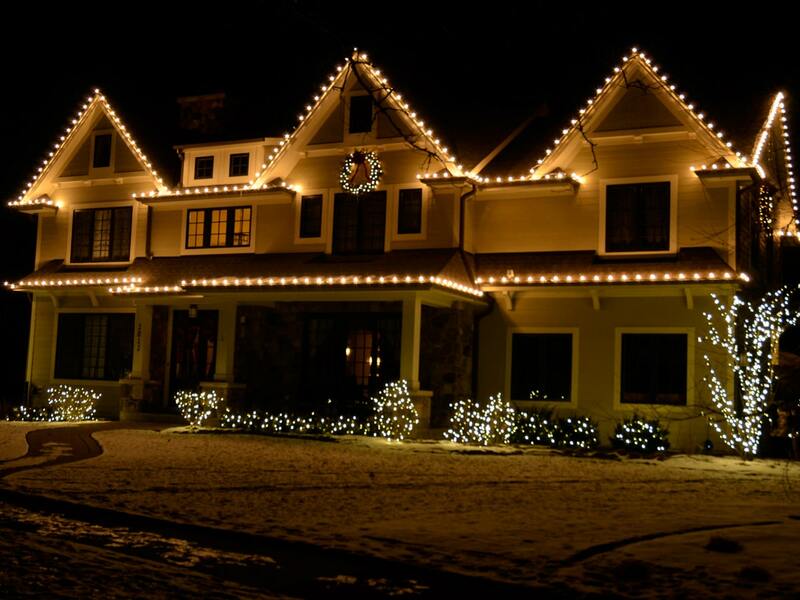 Because all of the lights and decorations are leased from us we handle any service work that is needed during the season at no cost to you. That means if anything happens to your lighting display mid-season, our team will come out and fix or replace it for FREE, no questions asked! 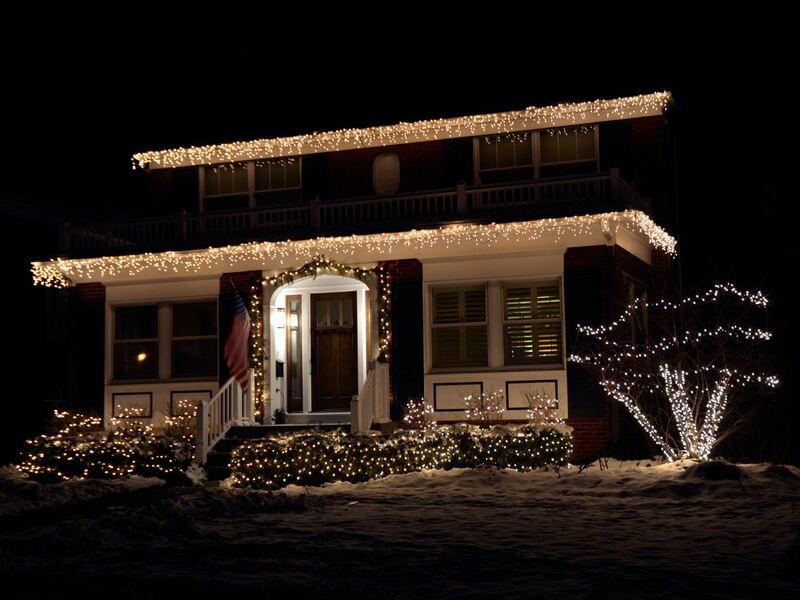 From burned-out roof bulbs to strings of lights blown off gutters, you’ll earn peace of mind that our lighting experts are only a quick phone call away. 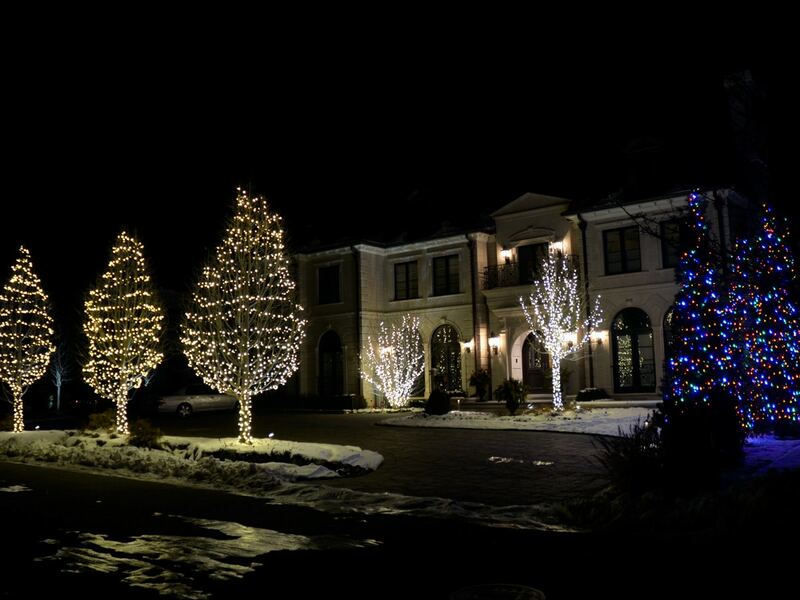 Most of our lighting service is done on the same day. Because everything is leased, you can change your design or color from year to year. 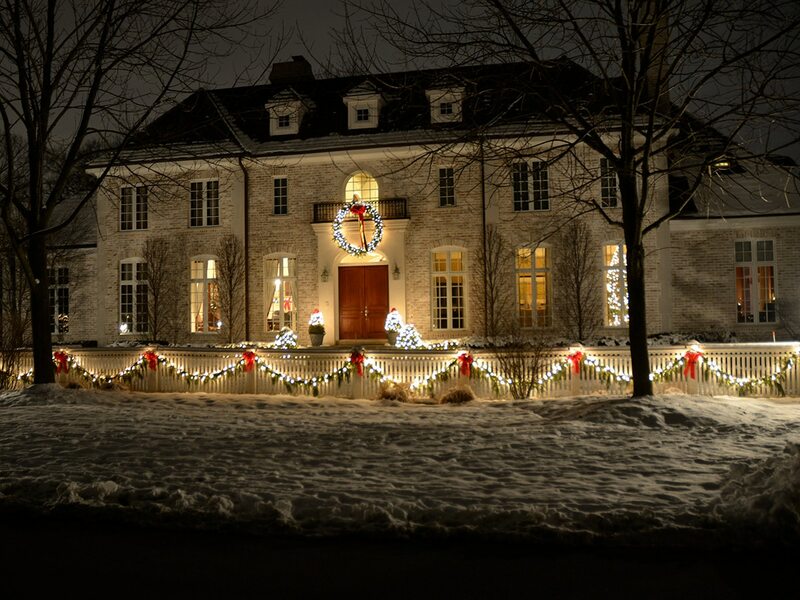 Having a big party this year and want to do a little extra? No problem! You can add just a little more without having the high cost of purchasing everything and being stuck with it for years. 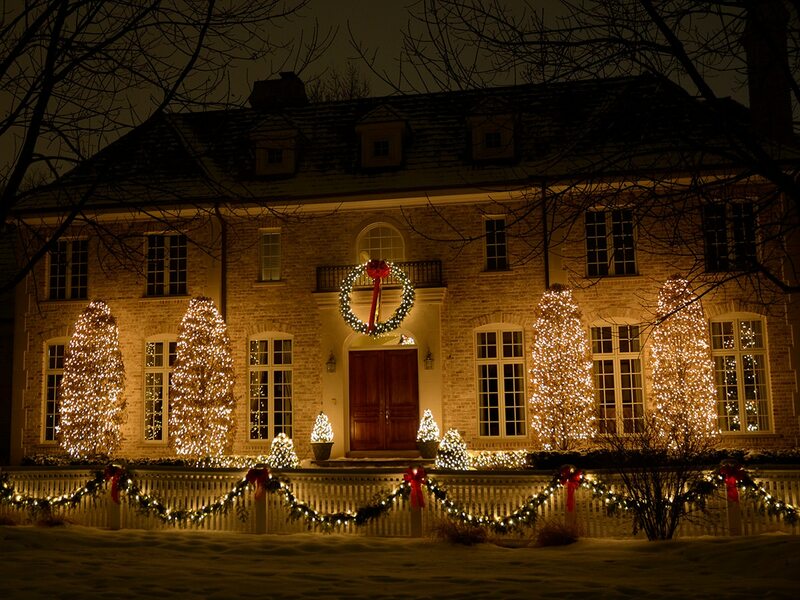 CHANGE YOUR HOLIDAY LIGHT COLORS! Purple, green, red, pink, orange, multicolor, blue, pure white, and warm white lights in stock. Go crazy – be different! 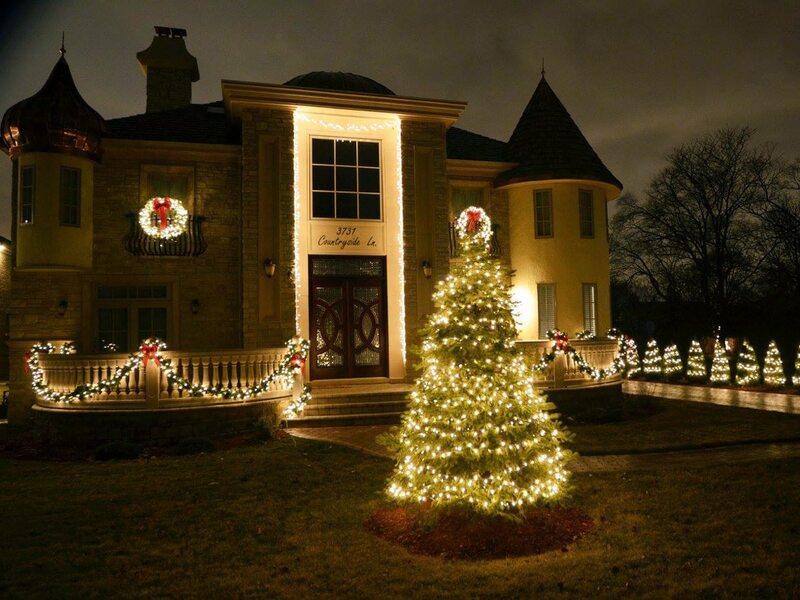 Let us show how we can transform your home into a truly memorable sight! 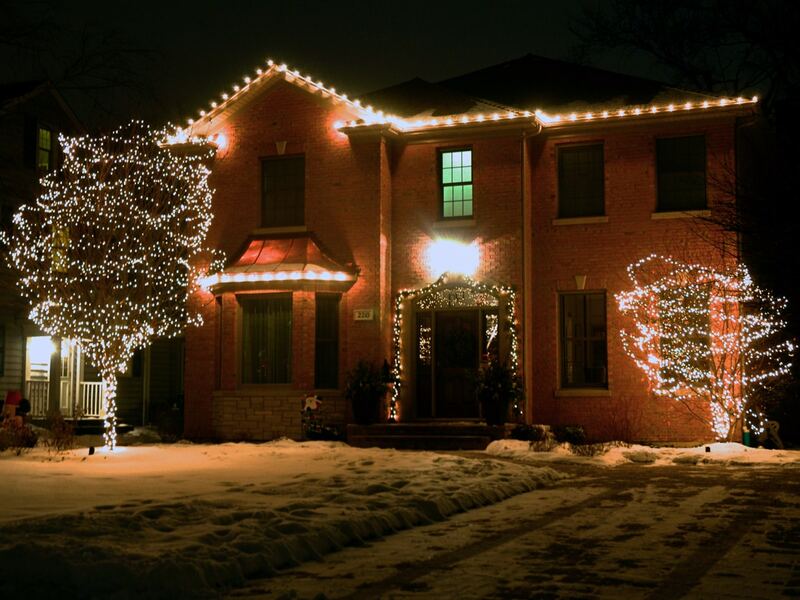 To set up your free, no-obligation estimate and consultation, contact our lighting experts at (847) 321-8261.